The team behind the successful re-launch campaign for JORVIK Viking Centre have scooped a handful of awards at the prestigious Chartered Institute of Marketing (CIM) Northern Awards. JORVIK’s marketing team have been awarded two accolades at the recent CIM Northern Awards in Manchester. 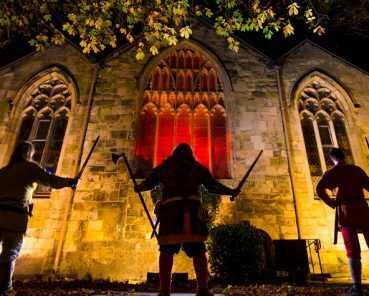 Winning both In-House Team and Best Campaign overall for their work on ‘Return of the Vikings’ which showcased the new JORVIK Viking Centre to the public after its 16 month re-imagining following the floods of December 2015. Commented Sarah Maltby, director of attractions for York Archaeological Trust, the operators of JORVIK Viking Centre. Indeed, it was this innovative and strategic approach that clinched the team the award, with feedback from the judges noting a well thought through and creative approach, meeting well set out objectives and engaging the identified target audiences. Judges for the In-House category also were impressed with the resolve on display. Said Andrew Harvey, Chair of the European Marketing Confederation and past Chair of CIM, who judged the In-House Marketing Team of the Year category. These wins come off the back of a successful few months for the centre, with record visitor numbers and strong feedback for the new attraction. It has also helped in raising the profile of the 4 other York attractions operated by York Archaeological Trust, with visitors numbers exceeding budget by over 50% year-on-year at attractions including Barley Hall, DIG and the Richard III & Henry VII Experiences. For more than 100 years, CIM has been supporting, representing and developing marketers, teams, leaders and the profession as a whole. Our networks have an unrivalled breadth, depth and diversity making this not just the largest community of marketers, but one with impact. We’re independent, trusted and connected, with access to unmatched ideas, insights and resources to help marketers navigate from problem diagnosis to practical solutions. Our vision is for marketing to be recognised for playing a pivotal role in business, constantly harnessing, integrating and acting on collective intelligence – and our role is to be the catalyst of that. 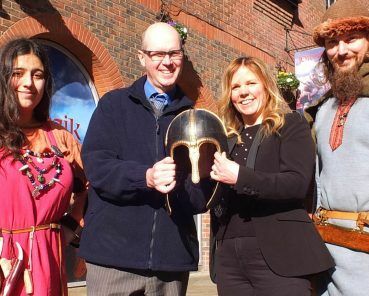 One of York’s historic treasures is set to return to the place where it was found in April, as the York Helmet returns to Coppergate, where it will go on display at JORVIK Viking Centre for the first four weeks of its re-opening. 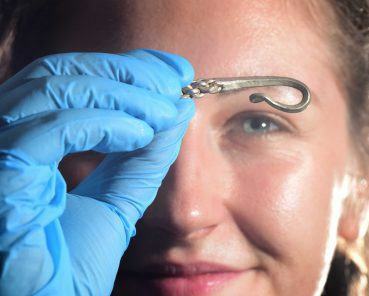 A collection from one of the most significant Viking hoards ever discovered in this country has gone on display at the JORVIK Viking Centre.